Deepen your connection to God, and enrich your creative soul, with this inspiring guide to Bible journaling. Christians searching for new ways to strengthen their connection to God have embraced Bible journaling, which allows them to pause and reflect on scripture while adding their own creative touch to each meaningful verse. 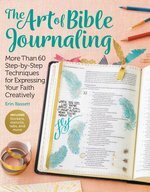 For those wishing to embark on this spiritual journey, The Art of Bible Journaling first covers the basics, from choosing a Bible to embellishments and art techniques, and then provides more than 60 specific step-by-step projects to bring the pages to life. You'll learn how to faith journal outside the Bible, journal on the go, and customize your Bible, and get such bonus items as traceable art to copy and paste, colorful stickers, and versatile templates that make it easy to get started. Spirituality fades easily in a fast-paced culture. Alister McGrath says evangelical spirituality needs to slow down and turn on the imagination to become more deeply in love with Christ. McGrath shows how to feel Bible study more personally. Chapters encourage Christians to look at the gospel with awe. Illuminates the spiritual journey we all take and the choices we all take and the choices we make by focusing on five of the monastic hours, from Vigils which reflect on the edges of the day and our own difficulty in choosing to begin the journey, through Compline or night prayer, the time for letting go and remembering the reality of death. 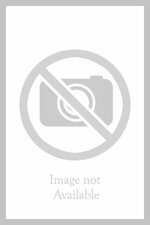 Full of humor and eloquently written, Crossing shows Christians how to bring faith and human experience together. Jesus--the original disciple maker and centerpiece of discipleship. Holy Spirit--fuels the disciple-making process. Intentionality--making disciples utilizing a strategy and a roadmap. Relationships--creating a loving, genuine connection with others who trust and follow Jesus. Bible--using the Word of God as the manual for making disciples. Journey--forging a traceable growth story from a new birth to spiritual parenthood. Multiply--reproducing the discipleship process so that the disciple becomes a disciple maker.